He worked at Wingates Mills as a little piecer and also at Fourgates Pit. 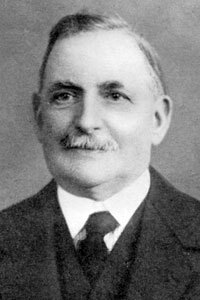 He later had a newsagents shop on Church Street, Westhoughton for 33 years, retiring in 1933. He was known as Ted to all of Westhoughton, but was better known in Wingates where he went on his newspaper rounds ringing a handbell. Both his father and Grandfather were Methodist preachers and the Basnett family were Labour Party members from its foundation. 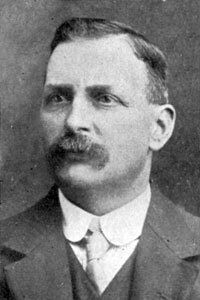 Represented North Ward from 1909 - retiring in 1924 but returning unopposed to the seat in 1928 which he retained until his death. Chairman of the Streets and Education Committees and five times Chairman of the General Purposes Committee. Member of the Council School Board of Managers and a Manager of St John's School, Wingates. Chairman of Westhougton, Horwich and Blackrod Joint Hospital Committee. He was the Council's representative on the Assessment Committee and the Guardians Committee. Died during his second term of office as Chairman of Westhoughton UDC. He was originally a Methodist and member of Wingates Independent Methodist Church, but in his later years he became a Spiritualist and an Elder in that Church. "Councillor Basnett merited the position, as it was 20 years since he had last occupied the chair of the Council and that length of service, from a man as capable as he, more than entitled him to the honour. He was sure Councillor Basnett would fill the position with credit; he was a genial man with wide experience of the work and a man who at all times could be depended on to consider matters carefully. He referred to the fact that Councillor Basnett had always been a keen sportsman and could therefore be relied on to be a sportsman as Chairman of the Council." (Horwich & Westhoughton Journal, 18 April 1935). "To Wingates people the railway station bridge in Church Road is the great dividing line. When he gave up his shop on the top side and went to live in Park Road he was told he had 'gone over to the enemy'". "In Council he was brief but to the point. He didn't pretend to bring any specialised knowledge to Council deliberations but did bring a wide knowledge of his townspeople, common sense and a sense of humour which made him popular".